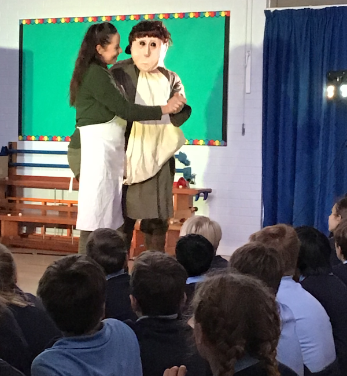 Today Year 5 and Year 6 were privileged to see a play set in World War One called 'Blighty One', presented by Unexpected Places. The children were very moved by the performance which commemorated the centenary of the end of World War I. It told the story of three children who grew up to have roles in the war, and followed their emotional stories of love, heroism and loss.